A: Even if a member's email address is not valid, they will still be able to complete a PAR-Q by logging into their members' area. First, take a note of the member's email address, which you can find on the left-hand side of the profile. 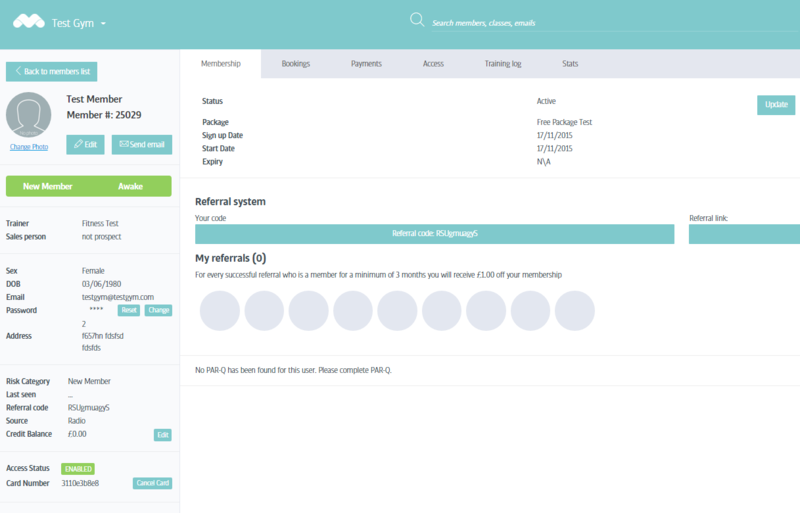 In this example, it's testgym@testgym.com. Second, you will need to set a password for the member. On the left-hand side, please click 'change' next to the password, and then type in a new password for the member (for example, 12345). 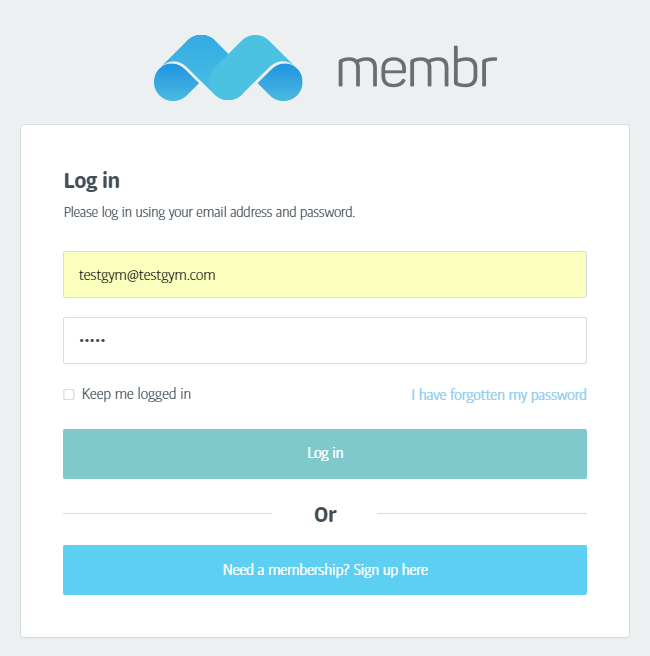 Once the password has been changed, please make a note of the new password and you are then ready to log in to the member's account. You will then be able to log the member into their account to complete the PAR-Q. Please note, the member only needs to have their email address and password written down to be able to access their account from home. In addition, if you are logging a member into their account from within the gym, please ensure that no staff members are already logged in. You cannot have two people signed in at the same time on the same browser/device, and so if a staff member is logged into their account on the PC on Firefox, then you will need to open up a different browser (such as Google Chrome or Internet Explorer) or use a different device to log the member into their own account. If you have any questions, then please contact the team at helpme@membr.com.